“Saturday Night Live” is back, and it sheds some light on one of the weirder moments of this week’s presidential debate. Speaking of jeans-creaming, the biggest revelation came when Baldwin’s Trump went deeper into the story of how Trump secretly told Fox News host Sean Hannity that he was against the Iraq War while Clinton was voting in favor of it in the Senate. After a parade of gaffes by Baldwin’s Trump, McKinnon started crying — but they were happy tears, she said, because the debate was going to incredibly well for her. 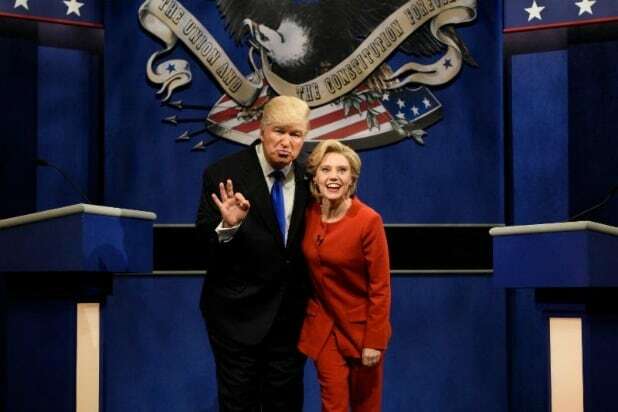 Though the “SNL” opener poked decidedly more fun at Trump than it did at Clinton, it certainly didn’t spare her. At one point McKinnon’s Clinton referred to her “human father” who, she claimed, was totally relatable. There was also a gag about Clinton’s corny “Trumped-up trickle down economics” comment that landed with a thud during Monday’s debate. Baldwin’s Trump responded with the standard Trump line — and a great mispronunciation. 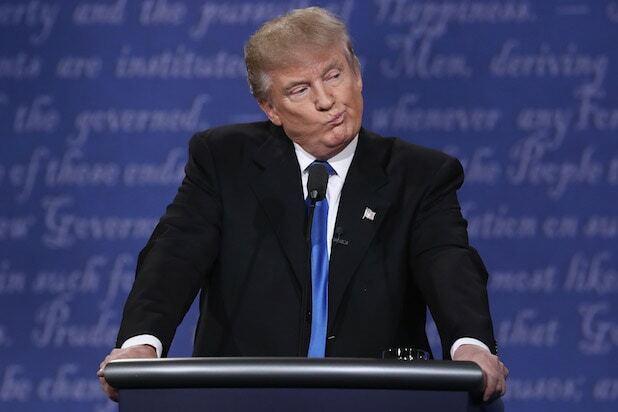 At which point the faux-Lester Holt pointed out there was still 88 minutes of the 90-minute debate remaining. “My microphone is broke,” Baldwin retorted.